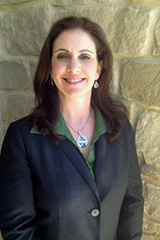 Angela M. Hahn manages the Austin office of Doyen Sebesta & Poelma, LLLP. With ten years of Mock Trial experience, Ms. Hahn tried more cases before graduating from law school, than most lawyers do in a lifetime. Now, with fifteen years of real-world experience as a practicing civil trial lawyer, she regularly handles matters involving construction defects, product liability, contract disputes, property damage and general negligence claims. Ms. Hahn focuses on large-loss insurance subrogation claims and has developed a passion for lightning-induced fire losses, especially those involving Corrugated Stainless Steel Tubing (CSST) or Radiant Barriers. Beyond prosecuting property damage cases, Ms. Hahn also routinely practices insurance defense for contractors, landlords and private individuals. With her undergraduate background in finance, risk management and insurance, she prides herself on economically controlling the costs of litigation on both defense and subrogation claims, while maximizing the opportunities for her clients to obtain early, often pre-suit, recoveries and resolutions. Before children came along, one of Ms. Hahn’s proudest accomplishments was coaching the University of Texas, School of Law - Tournament of Champions team to a national title. The UT Tower was lit up with the burnt orange “1” for her team, making history as the very first time the University of Texas lit the tower with a “1” for a national championship that was not sports-related. Angela Hahn has been happily married since 2002 and has two children. Since the birth of her son and daughter, she spends most of her free time frequenting youth basketball, football and baseball games. She donates her time and skills to Volunteer Legal Services of Central Texas for help with family law cases involving violence and abuse. For the past three years, she has also taught religious education to elementary school children at her Church. Her hobbies include boating on Austin’s lakes, snow skiing, scuba diving, and spending time with family and friends. Angela is an active member of the National Association of Subrogation Professionals, Austin Bar Association, and the Austin Claims Association. She stays involved with University of Texas mock trial teams and hopes to serve as a coach again soon. Lightning-Induced CSST Fires: Protecting Your Subrogation Rights, Subrogation and Recovery Alert! (5/11/2009). Brisco, D., Dunford, T., Fox, D., Hahn, A., Hanson, E., Harrington, D., Hazan-Cohen, M., Luccaro, D., Morrone, A., Noonan, J., Reis, J., Utke, M., Walker, L.
Flash, Kaboom! Water Heater Failures Involving GACs (Gas Appliance Connectors), Subrogation and Recovery Alert! (4/26/2011). Hahn, A.
Texas Wildfires, Subrogation and Recovery Alert! (9/15/2011). Hahn, A., Radcliff, S.
Due to her expertise in lightning-induced CSST fires, Ms. Hahn was asked to lead the defense of a spray-foam insulation installer in the largest, most-deadly CSST case on record in the United States. The CSST manufacturer alleged that the spray foam insulation, and not the pressurized gas leaking from the holes in the CSST, was the cause of the explosion that took the life of a young man, Brennan Teel. Ms. Hahn assisted in the prosecution of the CSST manufacturer while defending her client, who the CSST manufacturer was blaming for the explosion. After three solid weeks of pretrial hearings, the case resolved very favorably for Ms. Hahn’s client. While Mrs. Holleran was in Europe vacationing with her family, the side of one of the Vortens’ toilet tanks in her Steiner Ranch home fractured and broke, causing a V-shaped opening in the side of the tank. Water gushed through the supply line and unsuccessfully attempting to fill the tank for several days, flooding Ms. Holleran’s home and damaging cabinetry, flooring, drywall and personal property within it and causing more than $200,000 in damages. Ms. Hahn was able to amicably resolve the case shortly after filing suit and conducting initial fact discovery, thereby saving her client significant litigation costs by avoiding expert depositions and discovery. Ms. Hahn represented Chubb Insurance in litigation stemming from a large property loss at a high-end Austin condominium purchased by Chubb’s insured, Karen Fabbio. Evidence obtained during Ms. Hahn’s investigation, established that the water damage and mold growth resulted from an uncapped water pipe inside the walls of the home, which was hidden from view mid-way through construction. After a contentious trial, the jury returned a verdict against the homebuilder and awarded Chubb 100% of its damages.